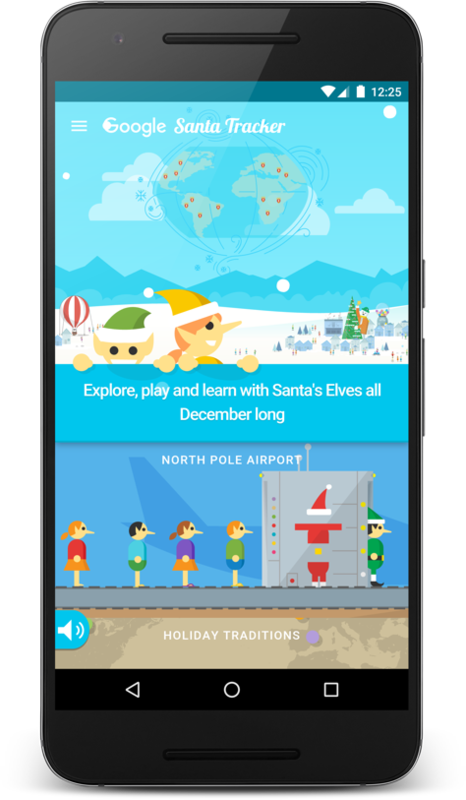 Today, we're announcing that the open source version of Google's Santa Tracker has been updated with the Android and web experiences that ran in December 2015. We extended, enhanced and upgraded our code, and you can see how we used our developer products - including Firebase and Polymer - to build a fun, educational and engaging experience. 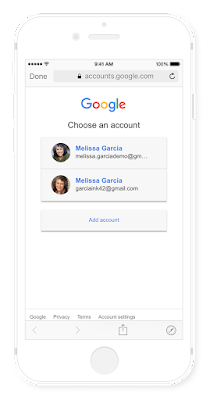 To get started, you can check out the code on GitHub at google/santa-tracker-web and google/santa-tracker-android. 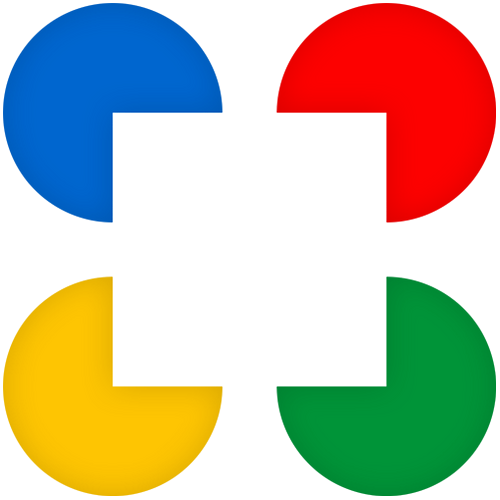 Both repositories include instructions so you can build your own version. Santa Tracker isn’t just about watching Santa’s progress as he delivers presents on December 24. Visitors can also have fun with the winter-inspired experiences, games and educational content by exploring Santa's Village while Santa prepares for his big journey throughout the holidays. 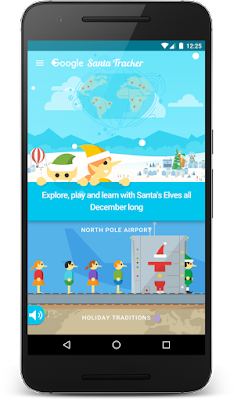 The Santa Tracker Android app is a single APK, supporting all devices, such as phones, tablets and TVs, running Ice Cream Sandwich (4.0) and up. The source code for the app can be found here. 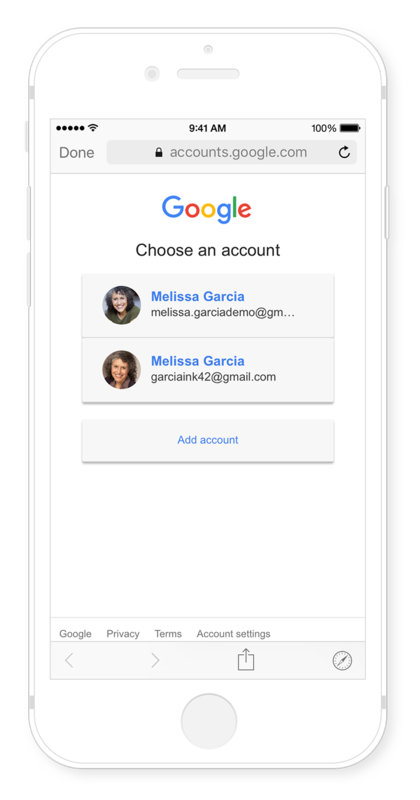 Santa Tracker leverages Firebase features, including Remote Config API, App Invites to invite your friends to play along, and Firebase Analytics to help our elves better understand users of the app. Santa’s Village is a launcher for videos, games and the tracker that responds well to multiple devices such as phones and tablets. There's even an alternative launcher based on the Leanback user interface for Android TVs. Games on Santa Tracker Android are built using many technologies such as JBox2D (gumball game), Android view hierarchy (memory match game) and OpenGL with special rendering engine (jetpack game). 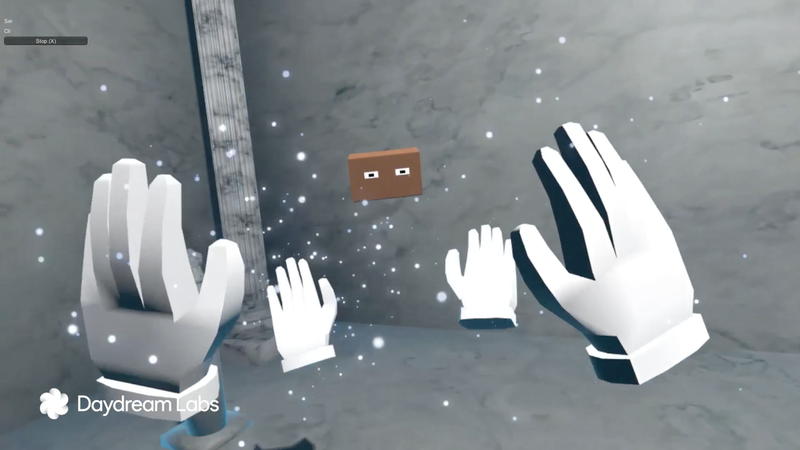 We've also included a holiday-themed variation of Pie Noon, a fun game that works on Android TV, your phone, and inside Google Cardboard's VR. 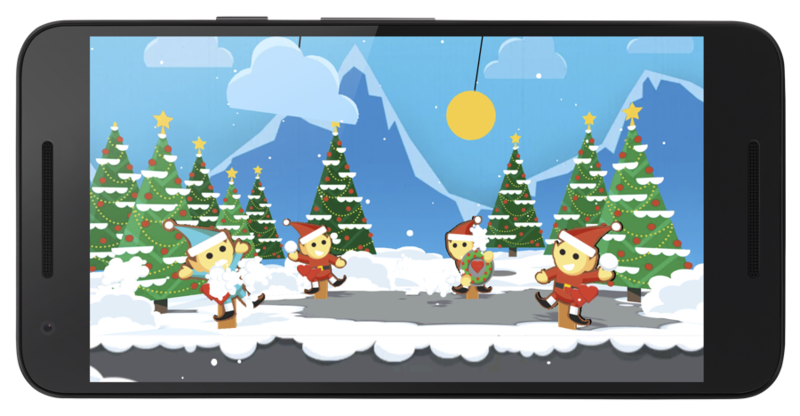 Santa Tracker is mobile-first: this year's experience was built for the mobile web, including an amazing brand new, interactive - yet fully responsive, village: with three breakpoints, touch gesture support and support for the Web App Manifest. 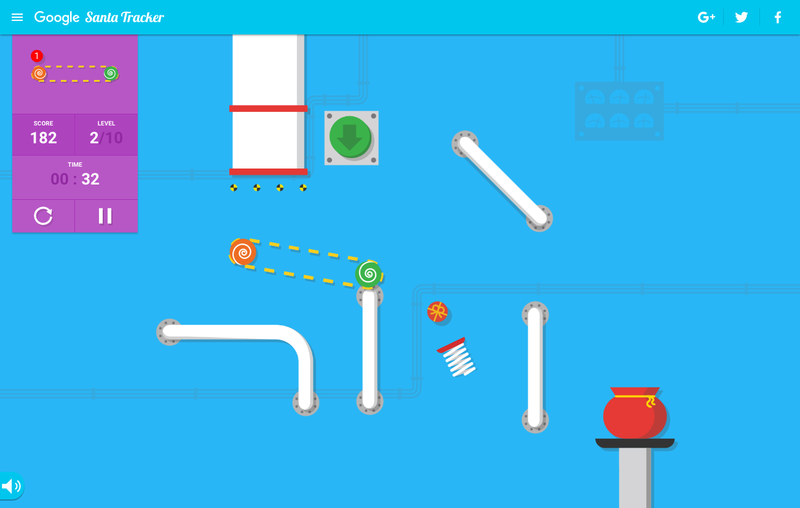 To help us develop Santa at scale, we've upgraded to Polymer 1.0+. Santa Tracker's use of Polymer demonstrates how easy it is to package code into reusable components. Every house in Santa's Village is a custom element, only loaded when needed, minimizing the startup cost of Santa Tracker. 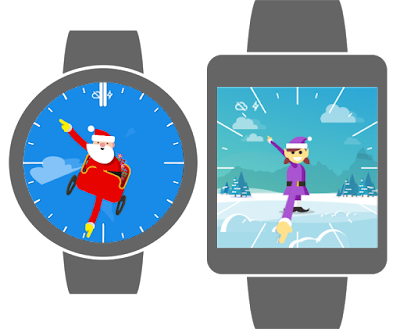 We simplified the Chromecast support this year, focusing on a great screensaver that would countdown to the big event on December 24th - and occasionally autoplay some of the great video content from around Santa's Village. We hope that this update inspires you to make your own magical experiences based on all the interesting and exciting components that came together to make Santa Tracker! Augmented reality scenes, where a virtual object is placed in a real environment, can surprise and delight people whether they’re playing with dominoes or trying to catch monsters. But without support for environmental lighting, these virtual objects can stick out rather than blend in with their environments. Ambient lighting should bleed onto an object, real objects should be seen in reflective surfaces, and shade should darken a virtual object. 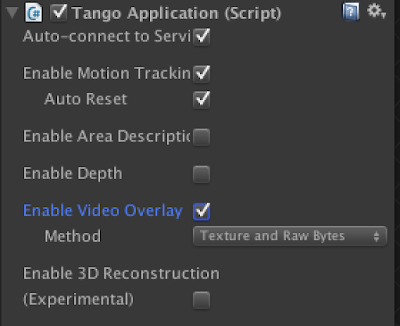 Before we begin, you’ll need to download the Tango Unity SDK. Then you can follow the steps below to make your reality a little brighter. Step 3: In the Tango Manager game object, you’ll want to check Enable Video Overlay and set the method to Texture and Raw Bytes. 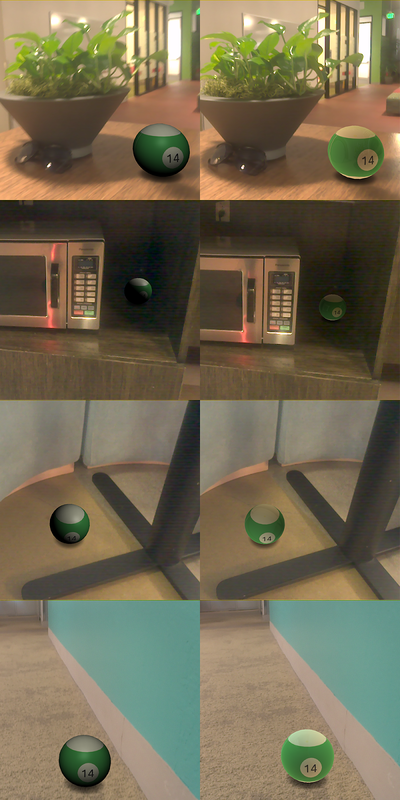 Step 4: Under Tango AR Camera, look for the Tango Environmental Lighting component. Make that the the Enable Environmental Lighting checkbox is checked. Step 5: Add your game object that you’d like to be environmental lit to the scene. In our example, we’ll be using a pool ball. So let’s add a new Sphere. Step 6: Let’s create a new material for our sphere. Go to Create > Material. We’ll be using our environmental lighting shader on this object. 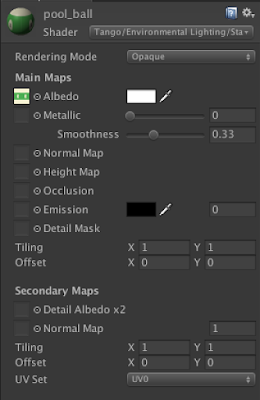 Under Shader, select Tango > Environmental Lighting > Standard. Step 7: Let’s add a texture to our pool ball and tweak our smoothness parameter. The higher the smoothness, the more reflective our object becomes. Rougher objects have more of a diffuse lighting that is softer and spreads over the surface of the object. 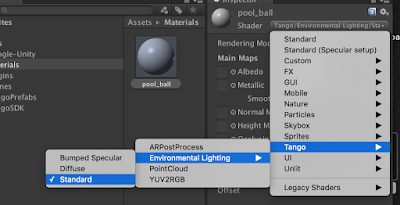 You can download the pool_ball_texture and import it into your project. Step 8: Add your new material to your sphere, so you have a nicer looking pool ball. Step 9: Compile and run the application again. You should able see environment lit pool ball now! You can also follow our previous post and be able to place your pool ball on surfaces. You don’t have to worry about your sphere rolling off your surface. Here are some comparison pictures of the pool ball with a static artificial light (left) and with environment lighting (right). We hope you enjoyed this tutorial combining the joy of environmental lighting with the magic of AR. Stay tuned to this blog for more AR updates and tutorials! 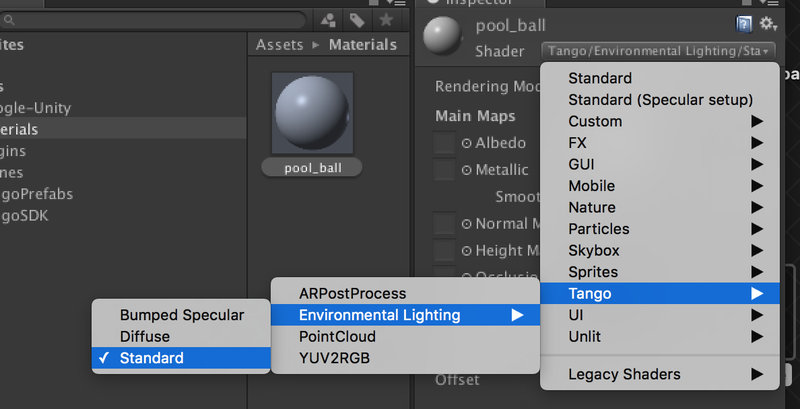 You’ve just created a more realistically light pool ball that live in AR. That’s a great start, but there’s a lot more you can do to make a high performance smartphone AR application. 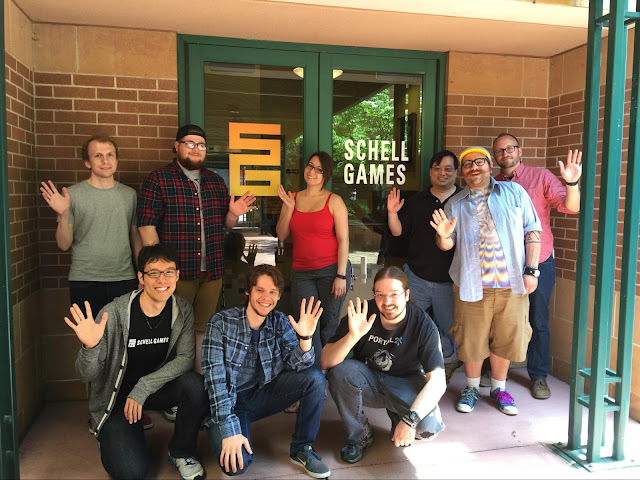 Check out our Unity example code on Github (especially the Augmented Reality example) to learn more about building a good smartphone AR application.